Many countries in the region have been suppressing voices and movements that are critical of governments as they seek to demonstrate their success in economic development. Azerbaijan is one such country where the government has also restricted the work of all independent civil society organizations (CSOs). For the past decade, authorities have prosecuted hundreds of activists, journalists, and public figures on politically motivated charges, such as drug possession, tax evasion, illegal entrepreneurship, and even treason. 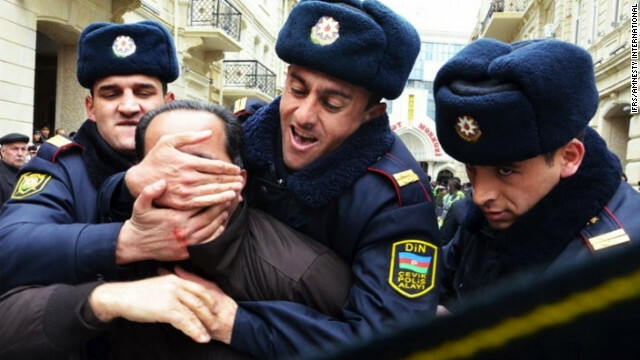 UPDATE: In May 2017, a group of local civil society organizations issued an updated report stating that there are currently more than 120 political prisoners in Azerbaijan, some of which are highlighted below. Please see full list here. 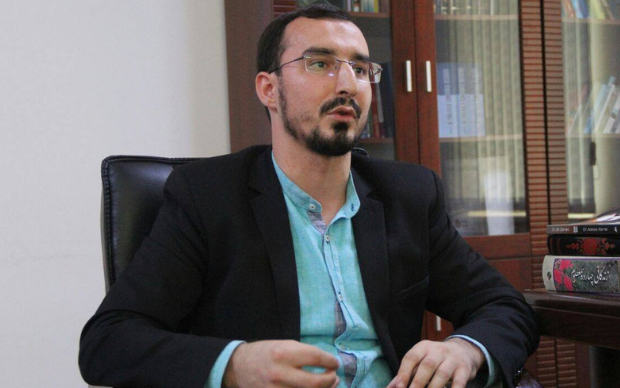 Fuad Ahmadli is the head of the Youth Committee of the Azerbaijan Popular Front Party, Khatai District Branch. He was arrested shortly after organizing a peaceful demonstration and charged with “abuse of power” and “conducting unauthorized operative-search.” He was sentenced to four years in prison on June 16, 2017. 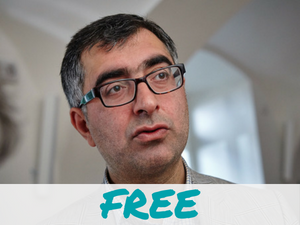 Afgan Mukhtarli is a well-known investigative journalist based in Tbilisi, Georgia, where he had been living in exile to avoid persecution in Azerbaijan. 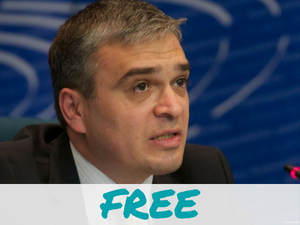 In May 2017, he was kidnapped from Tbilisi and forcefully taken to Baku where he was sentenced to six years in prison on fabricated charges in January 2018. Seymur Hazi is a journalist and senior politician with the Popular Front Party. On August 29, 2014, Hazi was attacked by a man while waiting for the bus and was sentenced to 5 years on charges of "hooliganism" for defending himself. In 2011, Hazi says he was abducted by security forces and threatened about his criticism of the government. 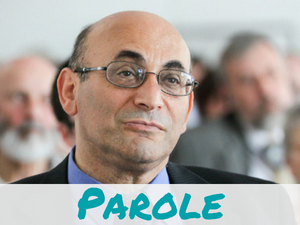 Tale Bagirzade is the leader of the peaceful Muslim Unity Movement and has been an outspoken critic of the government's religious repression. Bagirzade was sentenced to 20 years on politically-motivated charges, including “terrorism" and "inciting religious hatred." 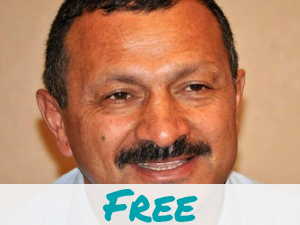 In February 2019, Bagirzade undertook a hunger strike to protest his reported torture while in prison. Gozal Bayramli is the Deputy Chairperson of the Azerbaijani Popular Front Party and a leader in the opposition movement for decades. Arrested on return from Tbilisi, Georgia where she was receiving medical treatment, Bayramli was detained and accused of attempting to overthrow the government on President Ilham Aliyev. 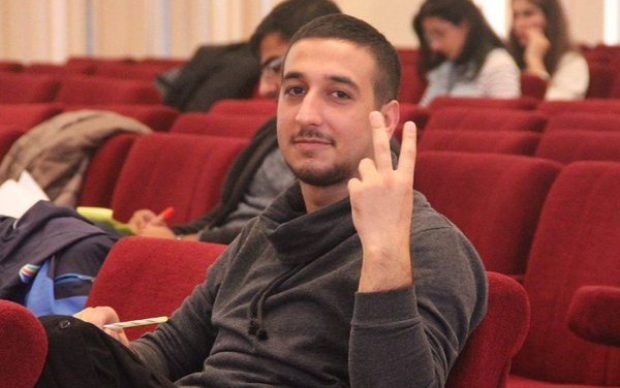 Bayram Mammadov is an activist with the NIDA Civic Movement, a pro-democracy youth organization. After being released from his 10-year sentence by presidential pardon on March 17, 2019, he was arrested again two weeks later for speaking out about his experience. Prior, he was detained for spray-painting a statue of the former president and sentenced on fabricated drug charges. Giyas Ibrahimov is an activist with the NIDA Civic Movement, a pro-democracy youth organization. 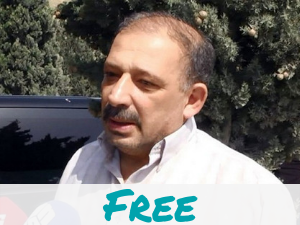 He was released from his 10-year sentence by presidential pardon on March 17, 2019, after serving nearly three years. He was detained for spray-painting a statue of the former president and sentenced on fabricated drug charges, along with fellow youth activist Bayram Mammadov. Ilgar Mammadov is a leader of the opposition Republican Alternative Party in Azerbaijan. He was arrested in February 2013 amid speculation that he would be a likely presidential candidate. He was accused of orchestrating riots and sentenced to 7 years in prison. His sentence was suspended in August 2018. Ilkin Rustamzade is a youth activist and leading member of the Free Youth Organization who organized several widely attended protests in central Baku. Arrested May2013, Rustamzade was charged with orchestrating mass disorder, hooliganism and use of power against a state representative and given an 8 year sentence. He was pardoned March 2019. Khadija Ismailova is an investigative journalist who drew attention for her coverage of high-level corruption in the government. She exposed dealings by the Aliyev family to capitalize on construction projects in connection to the Eurovision Song Contest hosted in Baku 2012. 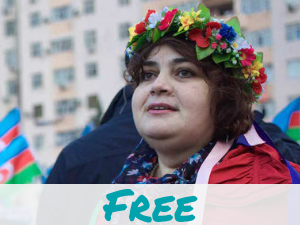 Charged and imprisoned for libel, Ismayilova’s sentence was eventually reduced. She has been on probation since May 2016. UPDATE: Mehman’s defense lawyer requested to present witnesses to the court of appeals who would testify that Mehman had been beaten and tortured in prison. The court failed to appropriately investigate this issue and in December 2017, Mehman’s appeal was dismissed and his two-year sentence was upheld. 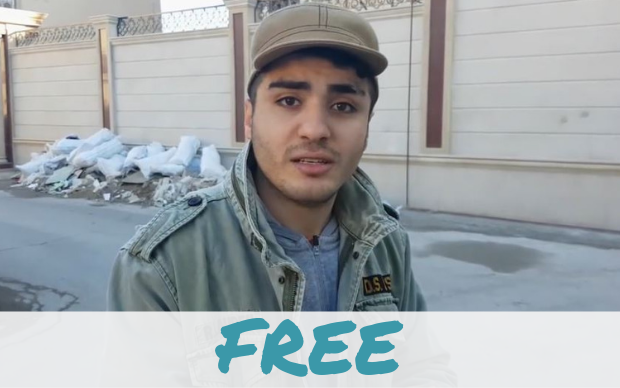 Mehman Huseynov is a young anticorruption blogger who has been imprisoned since March 2017. Mehman has documented the deteriorating political freedoms in Azerbaijan through powerful photographs that captured the world’s attention, and received the Norwegian Nobel Institute’s Press Prize. On March 3, 2017, a Baku court sentenced Azerbaijani human rights activist Mehman Huseynov to two years in prison on “defamation” charges. On March 3, 2019, he was freed after serving his entire sentence. 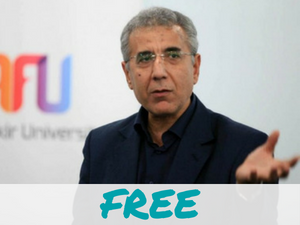 Intigam Aliyev is a lawyer and chair of the Legal Education Society which provides legal support for non-government organizations and litigated human rights cases in domestic courts. First detained in 2014 and charged in 2015 for tax evasion and abuse of office, Aliyev was sentenced to 7.5 years in prison. His sentence was later commuted. Rauf Mirkadirov was arrested in 2014 on espionage charges in response to his work trying to build people to people diplomacy between Azerbaijan and Armenia. 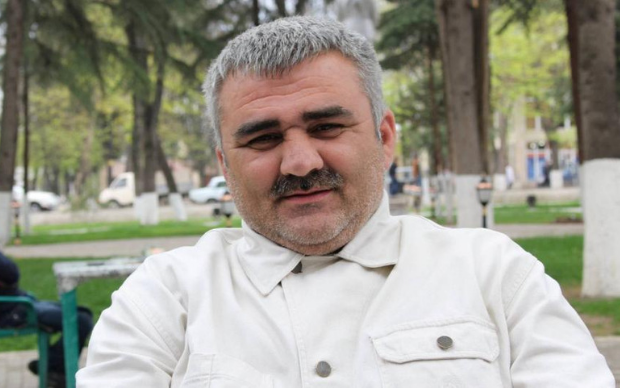 Detained in Turkey and extradited to Azerbaijan in 2014, charges against Mirkadirov seem politically motivated, especially considering his journalistic work critical of both Azerbaijan and Turkey, where he was based. He was freed in 2016. Anar Mammadli is the founder of Baku-based Election Monitoring and Democratic Studies Center, which promotes democratic institutions and political rights. 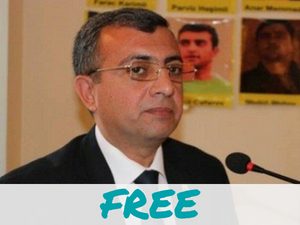 He was arrested after his outspoken criticism of the presidential elections of 2013 and given a 5 years sentence for tax evasion and ‘illegal entrprenuership’ – charges regularly leveled against civil society activists. Pardoned in 2016. 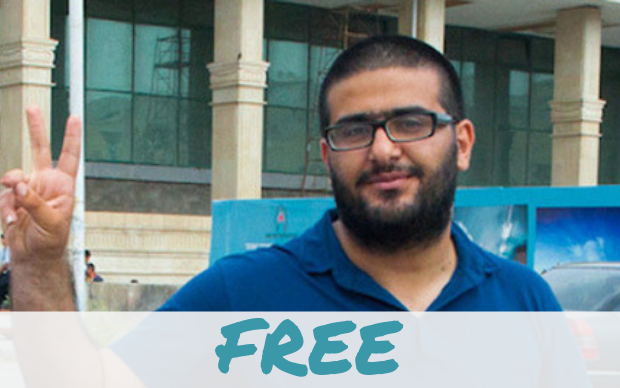 Tofiq Yaqublu was arrested and charged with organizing mass disorder in February 2013 in connection to riots in Ismayili and sentenced to 5 years in prison. He was pardoned in April 2016. Arif Yunus, scholar and independent activist, was arrested due to his work defending the rights of political prisoners and victims of torture, as well as in connection to his diplomatic work trying to mediate a resolution to the Nagorno-Karabakh conflict. Charge with treason and fraud, he was released a year later due to health concerns. Yadigar Sadiqov is a political activist and advisor to the opposition Musavat Party. He was arrested in the lead up to the presidential election, charged with hooliganism, he was accused of assaulting a man with his cellphone – an allegation he denies. In 2014, he was sentence to 6 years in prison. 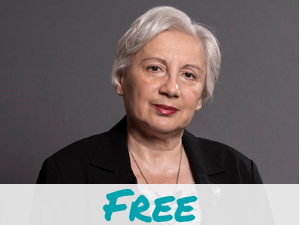 Leyla Yunus is the director of the Institute for Peace and Democracy in Azerbaijan. She was arrested in connection to her independent diplomatic work building people-to-people exchanges between Armenia and Azerbaijan, two countries still technically at war. 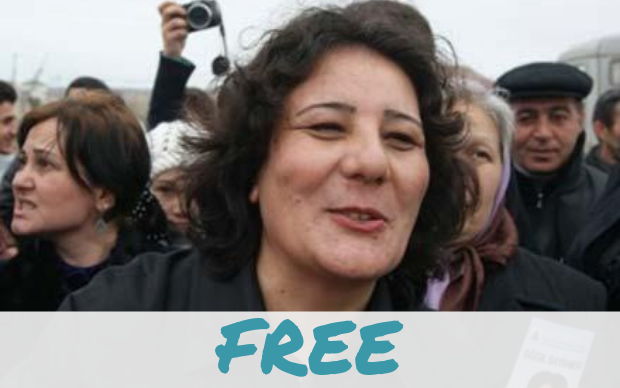 Charged with tax evasion and treason, she was released a year later with her husband, Arif, to receive medical treatment. 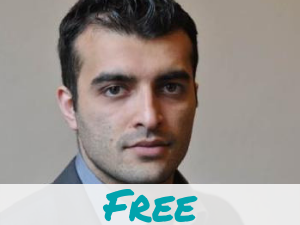 Lawyer and chairman of the Human Rights Council, Rasul Jafarov was arrested for coordinating the “Sign for Democracy” campaign, using the Eurovision contest as a platform to raise awareness on human rights violations in Azerbaijan. Charged with tax evasion, abuse of power, and illegal entrepreneurship, Jafarov was sentenced to six and a half years in prison.